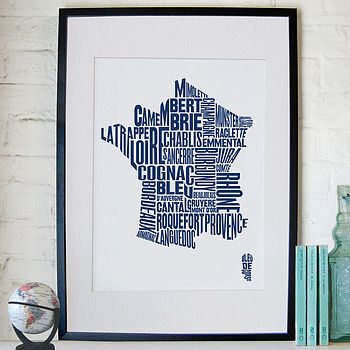 Featuring everything from Champagne to Beaujolais and from Camembert to Roquefort, this beautiful and unique typographic print celebrates French wine and cheese. This print cleverly uses typography to form a map of France, which showcases all the fantastic wine and cheese each area has to offer. Revisit your favourite holiday by hanging this typographic poster on your wall. 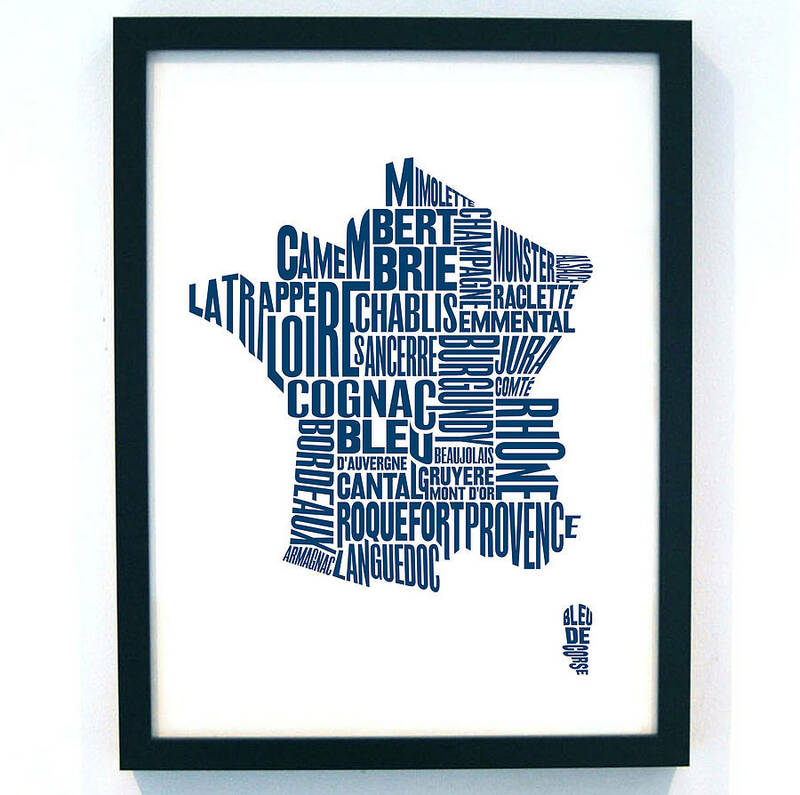 This artwork would also make the perfect present for any foodie friends, wine buffs or Francophiles. It is part of a series of gastronomy maps, each celebrating the cuisine of a different part of the world. Other areas currently available are: Britain, Germany, Europe and the USA. This print is only available in navy blue. Printed on heavyweight matt paper, using pigment inks for crisp detail and vibrant colour. This product is dispatched to you by Lucy Loves This. Your print comes unframed. It’s carefully wrapped in tissue paper, before being mailed in a protective cardboard tube.